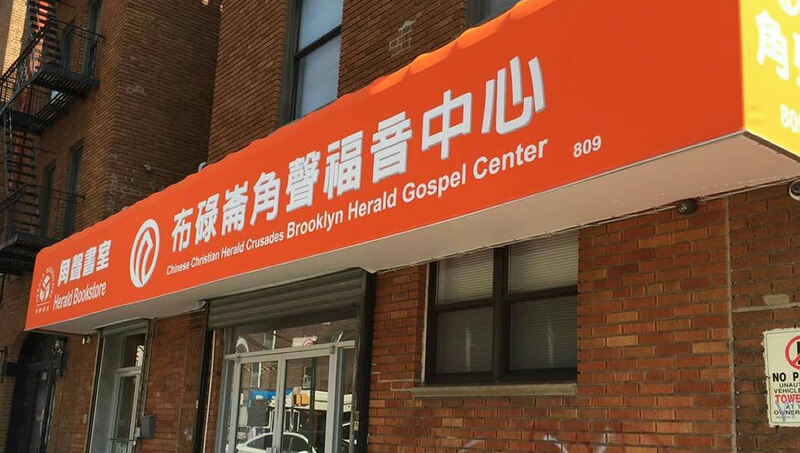 CCHC Brooklyn Gospel Center is located at the intersection of 8th Avenue and 44th Street. 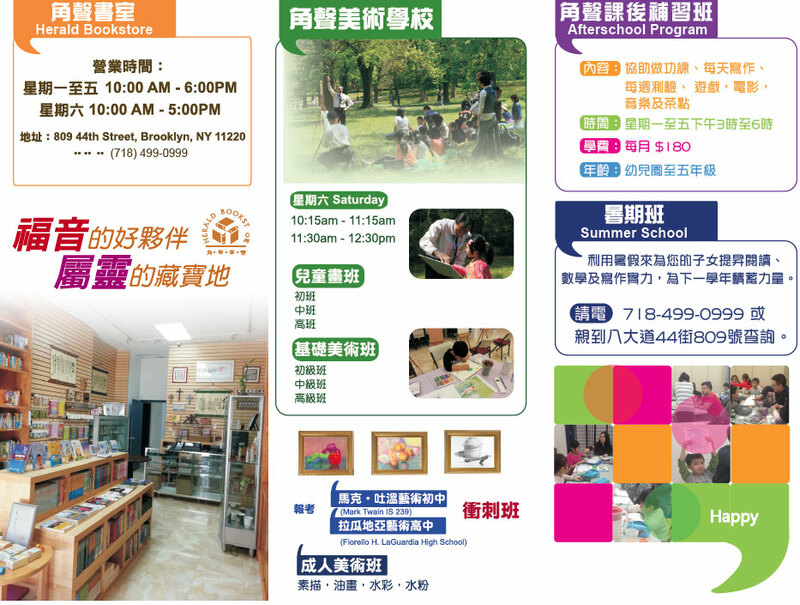 The residents are mostly new immigrants from FuZhou China, a population who have tremendous unmet needs. 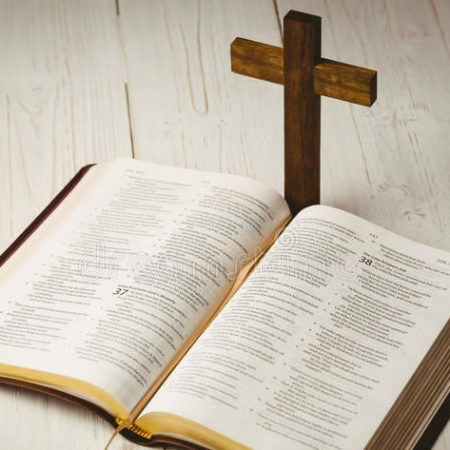 The Center reaches out to them through services, and guides them toward knowing Jesus Christ and His Salvation! 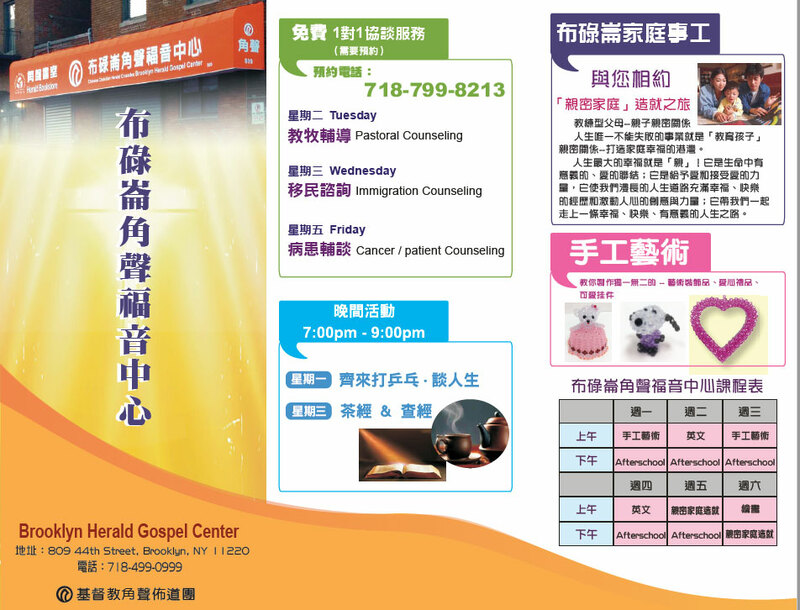 Our ministries include Herald Bookstore, After School Program, Community Services, Family Counseling and Holistic Care.